Say that you want about your “typical” adult entertainment spots aka “strip clubs”, and believe me, you may say what you want, because I know I do. However, being part of a progressive female empowered movement in DC, I, along with some other women, explored the newest of these types of establishments recently. 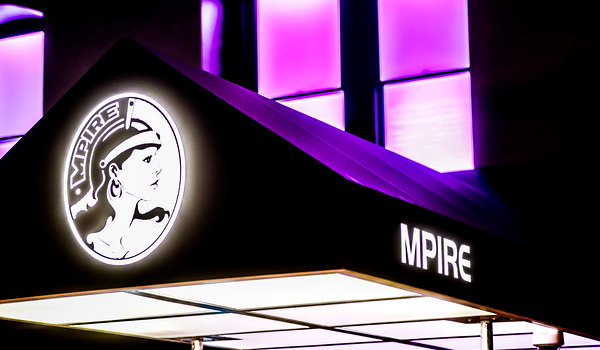 The Mpire Club proved to be quite the opposite of what these eyes have seen previously and no, I’m not talking about in Las Vegas or New York City (or in the movies or television shows). It’s quite a departure for the nation’s capital and frankly, I was pleasantly surprised. I also want to tip my hat to owner Adrian Kundamnal, who kindly donated small bites during Sneaker Ball XI’s reception. The MPire Club is priding itself on its kitchen talents just as much as well, the other talents. With its doors opening recently, the new kid on the block is committed to providing unrivaled service, creating the finest in food and beverage, and implementing hospitality best practices. 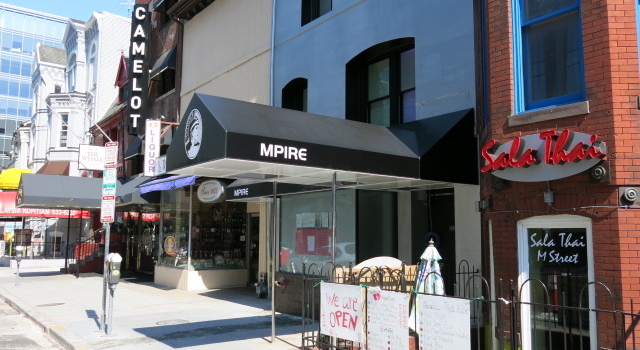 Found at 1819 M Street, MPire is housed in a new 3-story state-of-the-art facility that has a contemporary feel and look. 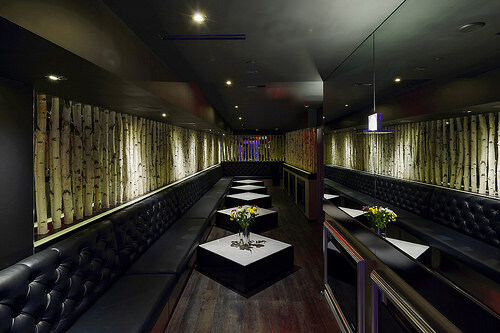 The top floor’s private room offers flat screen televisions built into the walls, soft lighting, comfortable seating, and what I found to be most interesting, real birch bark branches vertically aligned and integrated into the mirrored walls above the flat screens and leather banquets. 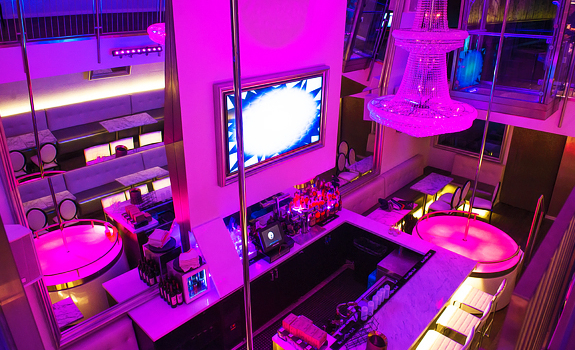 There is an elevator for convenience, a glass DJ booth and private ladies rooms. Kundamnal, who graciously greets guests in his club and around town, said, “We wanted to build a venue that was inviting to everyone. The details are extremely important to us, as is having an excellent chef, menu and mixology program…we wanted to differentiate ourselves and try and pioneer the fine dining and exotic lounge concept. We build on our foundation with top DJ’s and state of the art light and sound.” There is also a charitable element, as MPire will also be donating percentages of revenue to women’s causes at the end of the year, as well as host charity fundraisers. I’ve had a few of the menu items, which are inspired by the Mpire name and focuses on European small plates. Chef Keone has taken advantage of his 26 years of experience as an executive chef to develop an amazing array of flavorful and approachable plates to satisfy every diners taste. The drink menu features handcrafted cocktails, specialty draught beers, a focused and affordable wine list as well as champagne by the glass and the bottle, making it unique to this city. Kundamnal told us they have created a female and couple friendly environment, and as I witnessed my lady friends having fun and truly enjoying themselves, I had to concur.